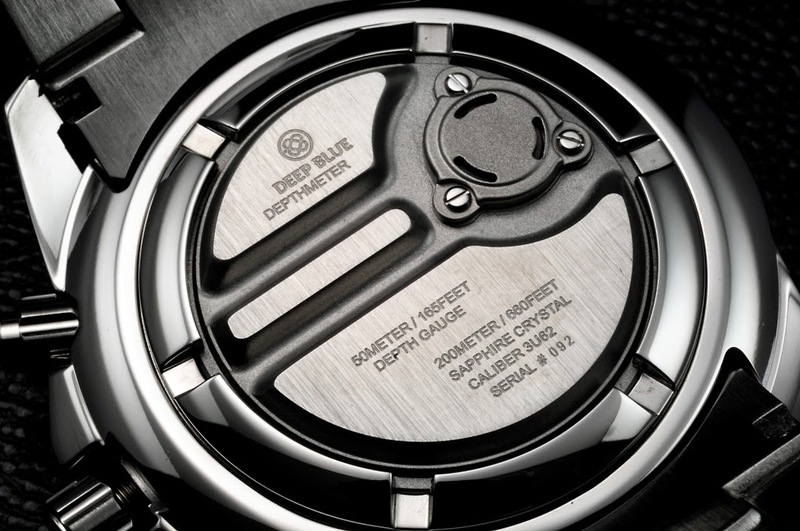 New York based dive watch brand Deep Blue Watches unveils their new dive watch model DEPTHMETER PROFESSIONAL, which is equipped with a Depth Gauge to accurately measure the diving depth. 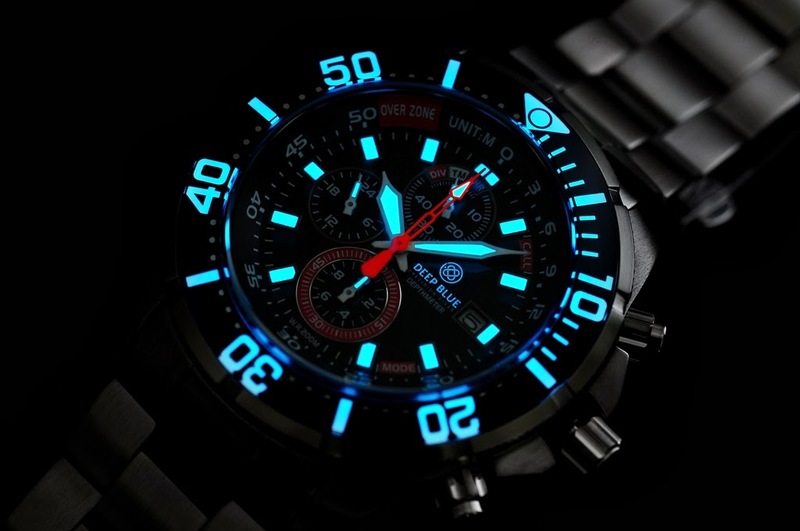 This Quartz powered diving timepiece has a water resistance up to 200 meters and is integrated with a 120 click unidirectional sapphire luminous bezel. 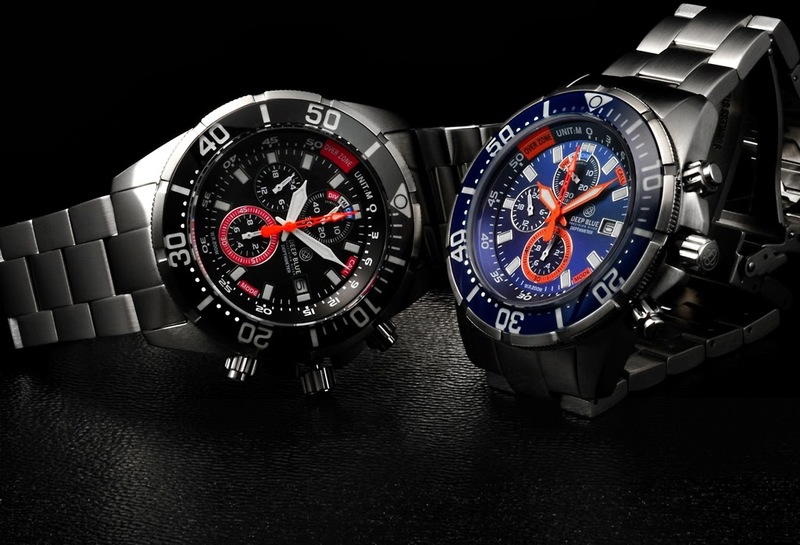 Crafted in a 45mm 316L stainless steel case, the DEPTHMETER PROFESSIONAL is available either in black or blue dial versions with AM/PM 24 hour indicator at 9’o clock, Chronograph with 1/20 second indicator and 50 minute display, date indication, Superluminova hands and hour markers.